Fall is in the air, the leaves are changing and pumpkin spice has already begun! If you love fall and coffee as much as I do, then you’ll love these fall coffee mugs on Etsy. You may not like this one if you’re one of those weird people who loathes pumpkin anything. I mean, who doesn’t love pumpkin spice lattes!? Oh yeah, my weird friend Jennifer! What’s the craziest Pumpkin Spice product you’ve seen? This is one of my favorite movies to watch on TV everytime Halloween rolls around. Hocus Pocus is a Halloween classic!! I’m contemplating putting different quotes with the Sanderson sisters image. So if “I put a spell on you” doesn’t exactly suit your fancy, I can accommodate others as long as the quote fits. The pumpkin king is here! I love Tim Burtons’ Nightmare Before Christmas and would love to live just like Jack and Sally. I’m usually grumpy and sluggish until I get my daily dose of caffeine. I’ll be doing a coffee recipe post coming up soon, so be on the lookout for that. You can find these coffee mugs, plus a variey of others over at my Jenn Makes it Cute Etsy Store. These are all adorable fall coffee mugs! I am a mug addict and need to clean out my collection before buying anymore! LOL!! ricci recently posted…Game Day #OOTD Texas Tech Style! 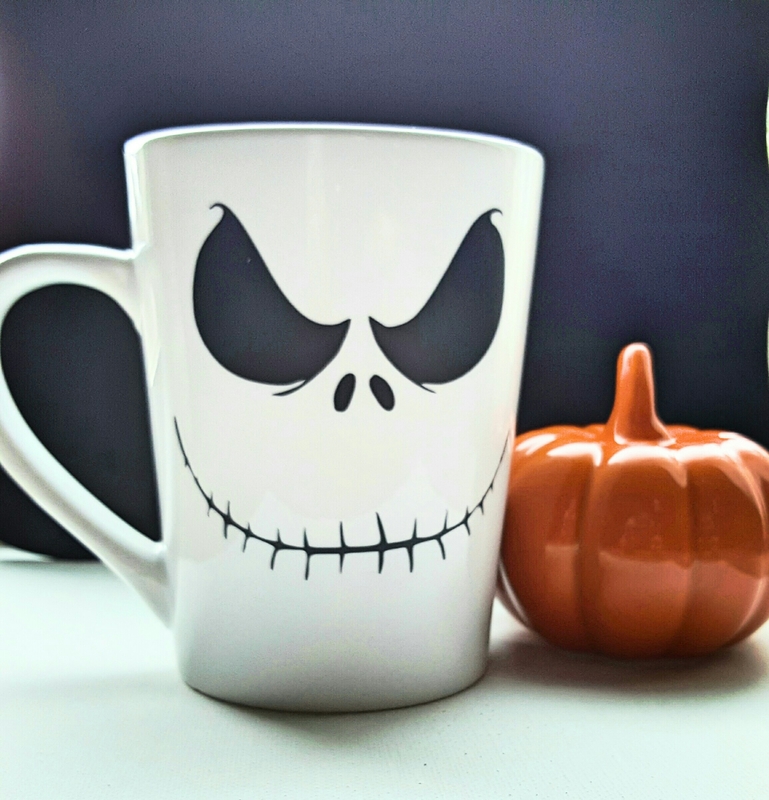 I LOVE the nightmare before coffee mug – they are all cute. Oh, and I’ll take that maid one day a week also. I like the nightmare before coffee mug. They do have really interesting designs here. Oh my goodness, those are super cute. I could use more coffee cups, one can never have too many coffee cups, right? haha! What cute designs! You can never have too many coffee mugs, and these are some really cute ones. Thanks for sharing! These are so cute! I love Hocus Pocus too! Mugs are definitely one of my weaknesses! I look for them everywhere. These are all so cute. 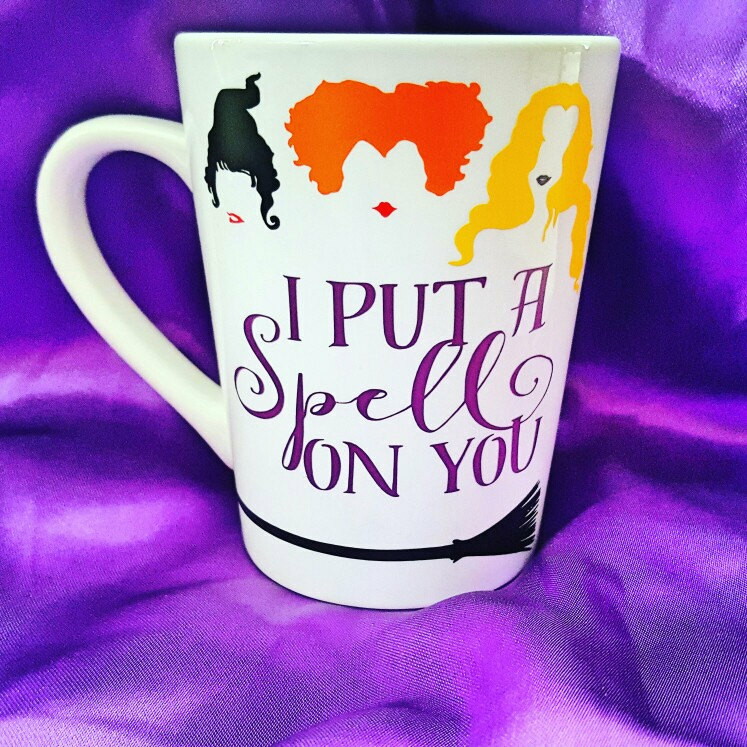 I totally NEED the Hocus Pocus one, though – love it! I couldn’t agree with you more on needing to hire a maid! Trying to get anything done with kids around is ridiculous! 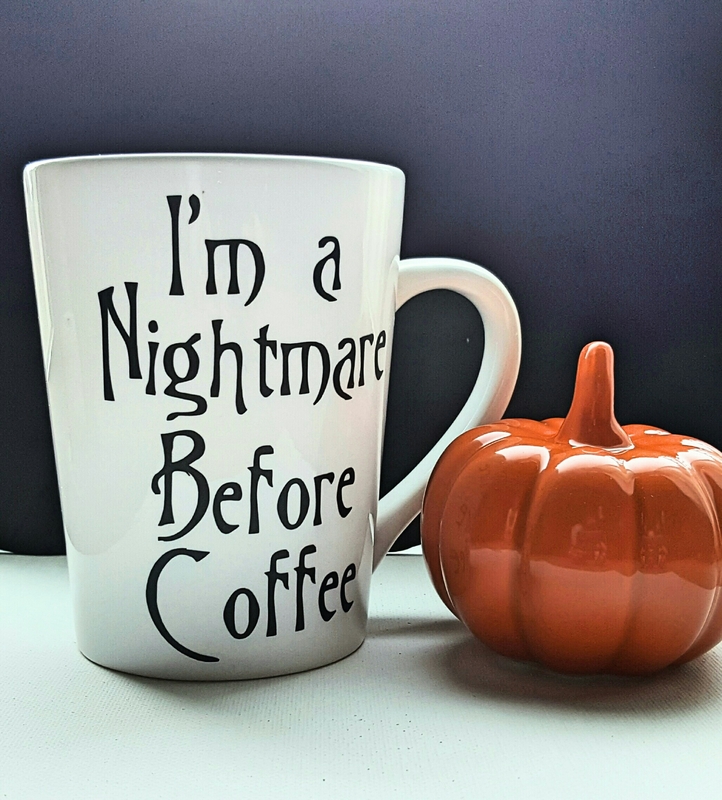 Love the Nightmare before Coffee mug– that’s hilarious, and perfect for me! I love a good coffee mug. I generally go for big mugs. I love the Jack Skellington mug!! These are really cute. I’m definitely a fan of pumpkin spice. I really like Hocus Pocus too! The designs are all cute but I think the best one that applies to me is the “I’m a nightmare before coffee.” I need two cups in the morning before I can say that I’m awake. Hahaha these are all amazing! I have a friend whose birthday is on Halloween so these would make a great gift. These are all so adorable. I like it when the things that I use at home matches the season, it just adds to the fun and excitement of the season! My favorite would have to be the last one! These mugs are so cute! If I could I’d have a whole collection of them! Oh my gosh! These mugs are so cool! I think I have to buy them all. 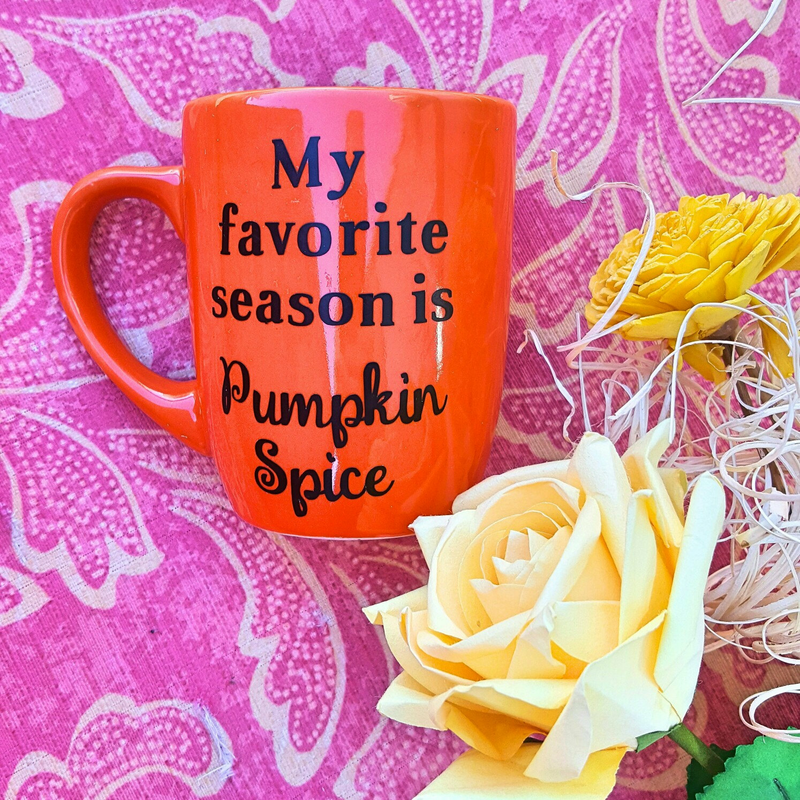 I love these adorable fall coffee mugs! Those are super cute and really love the designs! These mugs are the cutest! I love all things Halloween. I’ll definitely be checking out your Etsy store!